The previous post can be found HERE. I take the train into downtown Los Angeles. I think I have enough time to get a couple fried eggs in the cafeteria, but the line is too long. I head to the fifth floor snack bar and get a green Matcha tea and a hard boiled egg. That will have to hold me. Inside Dept 106. The courtroom is basically empty. The only people present are the bailiff, Judge Fidler’s clerk, Wendy, me and a pretty NBC reporter, Rebecca. A suited gentleman arrives and sits in the first row. I’m in the second row. The only thing I hear is the tinnitus buzzing in my head. Sometimes it's strong like today. Other times I can barely hear it. There are a quite a few boxes from Superior Document Services throughout the courtroom. A bunch stacked in front of the clerks counter. Some against the wall beside the jury box, some more against the low wall in the well of the court. There is some kind of hearing going on, because there are big binders on the prosecution and defense table and there are no notebooks on the seats in the jury box. Still very quiet inside 106. Judge Fidler's bench has two tall stacks of papers. From where I'm sitting, one looks to be about 6” high and the other 8” high. Dale Rubin arrives. He wants to see his client,. The Gargiulo hearing is for 10 am. Everyone is real early. 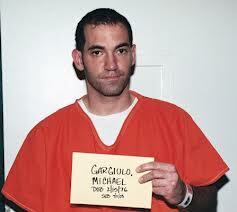 It's my understanding there is a hearing in another case that will go first before Gargiulo. There is a pool video camera here for that event. Judge Fidler's clerk responds to Mr. Rubin about the call he received regarding his client. She then tells him he might have to go to the14th floor to see Gargiulo. The 14th floor is a custody floor where detainees are held until they are needed for their court appearance. The clerk doesn't want Gargiulo brought down to the 9th floor until his hearing commences. I hear Mr. Rubin tell the clerk, "My main concern is that he gets out here and everything goes smooth." The clerk tells the bailiff that the case will not be called until 10 am, so they don’t bring Gargiulo to 9th. He’s up on 14th in a holding cell area. Mr. Rubin leaves to go see Gargiulo on the 14th floor. A few people arrive for the other hearing "Maxwell". Deputy District Attorney Bobby Grace arrives for the Maxwell hearing. Although I've never covered one of his cases, I've heard wonderful things about DDA Grace's skills in the courtroom. After the Maxwell hearing is over, I go out into the hallway to wait for a while and read the web. On the 9th floor hallway, DDA Garrett Dameron is the first to arrive. I like Garrett. He and DDA Dan Akemon have always been kind to me. While exchanging hellos, second chair defense attorney Dan Nardoni arrives and says hello. He always states my full name. Then DDA Dan Akemon arrives. DDA Akemon brought two law clerks/interns with him. The last dozen times or so I've seen Akemon, he always has interns with him. I inform Mr. Nardoni his compadre (Dale Rubin) is up on 14, speaking with their client. We head inside Dept. 106. The pretty court reporter and I chat about both of us being here for Spector One. I was almost certain I first saw her in this courtroom during that trial and she confirmed it. 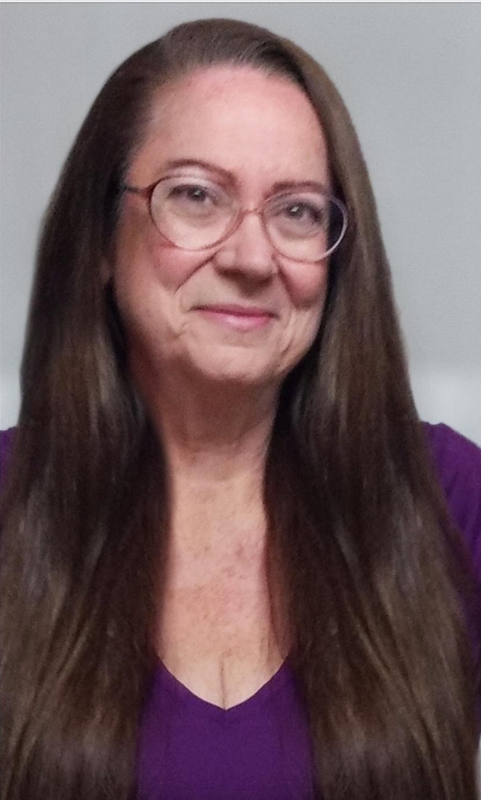 She’s been a court reporter almost 20 years. The first hearing I ever attended in the downtown criminal court building was in this very courtroom in February 2007. It was for a pretrial hearing in the Spector murder trial. The rest, is history. Dale Rubin is here. He reenters courtroom with DDA Akemon who has documents for the defense to sign. I see him place them on the defense table. Now DDA's Dameron and Akemon are at the clerk’s desk, dropping off a document. I really need to get my eyes reexamined and new glasses. I'm having to squint more and more now to see things. Judge Fidler's clerk had gotten up from her desk and she saw that I was typing on my laptop. Judge Fidler was not on the bench but she made it clear in no uncertain terms that I had not gotten approval to use my laptop. Busted. I admit, I was pushing it. Usually, if the judge is off the bench it's not a problem but I was bad and did not wait for permission to use it. I immediately close my laptop and switch to hand notes. Judge Fidler is the judge assigned to approve all wire tap requests in Los Angeles County. It's why he usually doesn't hold trial five days a week, only four. Juge Fidler comes out to the clerk's counter area to speak with a detective dropping off (what I assume is) a wire tap warrant. Over in the well of the court DDA's Akemon and Dameron chat. Then Judge Fidler's clerk talks with them about Judge Fidler's schedule and the "other case" that the Gargiulo case is competing with for being on Judge Fidler's schedule next. Sprocket Note: This was the case that was supposed to have ended in January of this year, but went long. It's DDA Dayan Mathai's MS13 case that had more than one defendant. I know there was a hung jury on one or possibly more defendants. DDA Dameron tells the clerk, "Dayan's not jumping ahead of me again. ... I've threatened his life over that." The clerk tells DDA Dameron about "...waivers ... So I'm just putting it out there." The clerk adds that one of DDA Mathai's defendants has gone pro per, so that would be better for DDA Dameron's case here. And this is where I hear the next possible court date in the Gargiulo case. November 2, with calendar set at zero of 60. DDA Mathai's case and this case will both return to Dept. 106 on that date. On hearing that date, I know that the Gargiulo case will not go to trial until 2019. Mr. Nardoni brings up the 995 motion with the clerk. "There's a 995 motion filed a long time ago," Nardoni tells her. I have been waiting literally years for the Gargiulo 995 motion to be argued before the court. Mr. Rubin adds the possibility of arguing other motions in December. The clerk asks the defense, "How much time do you need on that?" Now the parties are debating if arguing the motions is too soon. What is so refreshing with this group of counsel, is how very respectful they are with each other. There's no animosity like I've seen in some other cases. The clerk informs the defense that there is "nothing" available in December for motions to be argued. It's probably going to have to be the November 2 date. Mr. Rubin states, "[The] 995, we can do ... or we can do the Perkins...." The clerk asks, "What's the Perkins...?" The parties explain the Perkins Operation to the clerk. Other information about the 995 is discussed. The preliminary hearing transcript is 1500 pages. The 995 motion that was filed is about 100 pages. The parties feel the 995 motion needs to be argued so that Judge Fidler knows the case. Sprocket Note: All of those page documents will have to be read by Judge Fidler before the 995 motion is argued before him. The bailiff goes to get the defendant. Gargiulo is brought out. He's still completely bald. Rubin leans in to speak to Gargiulo. I hear Mr. Nardoni ask his client, "How are you feeling? Any better?" The clerk asks to speak to counsel for a second. I hear the clerk tell them, "...once you guys decide to go on that 995, it's going to go. No continuance." have given this material to the defense on DVD's. Mr. Nardoni addresses the court next on the November 2nd date as a pretrial hearing as well as two motions. They would argue the 995 motion on that date. He states the preliminary hearing transcript is 1400 pages. Mr. Rubin states the 995 motion is a "substantial motion". Then Mr. Rubin adds something I do not recall ever hearing about the defendant. "Mr. Gargiulo has asthma. ... It's well documented. ... [an] inhaler.... up until recently [there's been] ... no problem with the showers. ... a week or two ago .... where he's getting his shower presently ... there's no ventilation .... he passed out .... [he] gets in [an] asthmatic seizure .... the steam ... I'm told [a] Sargent or Lieutenant on the tier needed a court order for a better schedule." Judge Fidler responds, "Just prepare [an order] for my signature and I'll sign it." The next pretrial hearing is set for November 2nd with the case at zero of 60. I believe the court asks, "Is that all?" My notes are not clear as to who answered the court, but I believe it was the defense who replied, "Our hope is to commence trial in January." Judge Fidler responds, "Okay." Gargiulo is brought back into custody and that was it for the hearing.